For those of us who love gardens and the great outdoors, one of the most difficult times for us is when we have to go inside, either because of the weather or for work reasons. We would love to just bask in sunlight all day, taking in the beauty of nature and particularly the abundant variety of its plant life. Plants are a remarkable source of beauty and variety, and they provide critical environmental functions. Being separated from them for long periods of time can be quite difficult for some people. They feel that their environment is drab or dull if there isn’t some sort of green life in it. For those of us who have felt this way realize that there are alternatives. Many plants can thrive indoors and often live better lives inside your home or office than they might have outside. 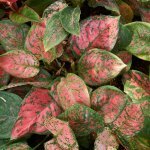 With some careful maintenance and observation you can help to nourish a plant that will bring a dark corner of your house remarkable beauty for years to come. One of the most important things to know about house plants, and particularly flowering ones, is how to water them. Flowering plants often take a great deal of water, but there are some real exceptions to this rule. In any case, you need to read about the specifications for your particular house plant and be sure to follow them. 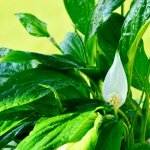 However, there are some basic guidelines that you can follow that will help to produce beautiful, flowering house plants. Because flowering plants require more water, you should be sure to give them a bit more than the other plants in your home. This is especially true for periods when they are blooming, or when the temperature in your home might be a little higher than at other times. One good way to test to see if your plant needs water is to feel the soil. Don’t just water every day or twoâ€”make sure that the plant actually needs water. 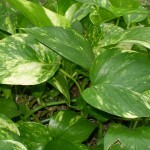 This is especially true for house plants, which generally need less water, and so can easily rot if over watered. Too much water can also drown a plant, preventing its roots from getting necessary oxygen. If the soil feels dry then water, but don’t soak. Allow the soil to get moist. Avoid just putting the plant under the faucet this tends to soak the plant and make it susceptible to rot. 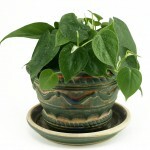 If the plant is drooping or struggling in some way give it a bit more water, but resist drowning it. You will need to be especially careful with blooming cactus, which although requiring a bit more water than a cactus that is not blooming, should still only need a little bit of water. Realize that cacti are made to only get a little bit of water every once in a while. If you over water a cactus it will probably die pretty quickly. 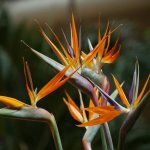 What all of this information tends to suggest is that watering is more than just a routine chore, and especially with house plants. You need to care for your plants as you would a pet. Observe their behavior and experiment with different solutions. If you simply water everything the same amount every couple of days you will have a fairly unsuccessful collection of house plants. Realize that the type of soil you use will also greatly vary the way that watering takes place. If you use clay based soil the water will tend to pool and not drain. Use potting soil to ensure that the water drains after every watering.